Hi and thanks for choosing Tree Lopping Sunshine Coast. Your local Sunny Coast tree removal professionals. We specialize in all facets of tree pruning, stump grinding, tree removal, tree cutting, tree lopping; a full tree service that can come to you at Caloundra, Caloundra West, Buderim, Landsborough, Maroochydore, Mooloolaba, Alexandra Headland, Nambour, Coolum and North to Noosa. We've been tree lopping Sunshine Coast wide for over 25 years. Your Sunshine Coast tree service team for the best, most affordable and experienced Tree lopping Sunshine Coast professionals ready to tackle your tree removal needs the fastest way possible! If you are looking for the most professional tree removal Caloundra has to offer, you have come to the right place. Tree removal is a highly technical task that requires not only trained tree service professionals, but also well equipped, qualified tree loppers like the team at Sunshine Coast tree Lopping. We can come to you at Caloundra, Caloundra West, Buderim, Landsborough, Maroochydore, Noosa, Mooloolaba, Alexandra Headland, Nambour, and Coolum. ​If you have finally reached a point where you need to hire a tree service provider, you can be assured that you have the right team of professional tree loppers at Sunshine Coast Tree lopping. Professional Tree Lopping Sunshine Coast. Whether you want to remove the broken limbs or you want to tree removal of a certain tree that has been causing you problems, you will need a professional tree service company such as Sunshine Coast Tree Lopping to do the job for you. We have local knowledge of the Tree Lopping Sunshine Coast from Caloundra, Caloundra West, Buderim, Landsborough, Maroochydore, Mooloolaba, Alexandra Headland, Nambour, Coolum and all the way North to Noosa. We have the expertise and the knowledge to work on felling of large trees or working in confined spaces of residential and built up commercial areas. In fact, never entertain the thought of doing the work by yourself if you are not trained. Tree Lopping and tree removal is dangerous work that needs a profession tree removal team with the right tools and experience. The amount of money you might want to save is not worth the risks you would be exposing yourself, your family and your house too. Tree Service Experts are Right Here with Sunshine Coast Tree Lopping. Before you begin your search for a Sunshine Coast tree lopping company, bear in mind that credentials of someone calling themselves a tree service provider can vary widely. As a tree removal provider, we are able to provide tree care services using the best industry practices, standards and qualifications. To achieve this, we employ qualified and experienced staff who also possess local knowledge of local trees around Sunshine Coast as well as regional environmental laws that surround tree removal. 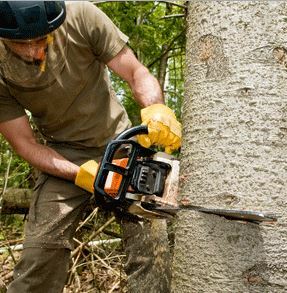 As a reputable tree service company, we strive to work in a safer manner using the correct tools and equipment while upholding the highest professional standards. We can provide you with a working proposal that contains details such as the work that will be done and how long it will take, including cost estimates. 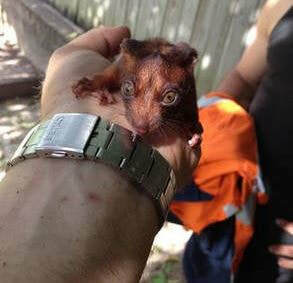 The work proposal also indicates how the work done would meet the Sunshine Coast Regional Council Standards and Laws for tree care and tree removal . For instance, if you want us to remove a dead branch from a tree situated next to a building, the work should be carried out by a tree service company that has the experience to mitigate the risks of the branch falling on the roof, and other things that might be nearby. We also ensure that any dead branch does not pose any risks to the inhabitants of the residential or commercial building. Verify Insurance coverage: reputable tree service companies have a type of insurance policy known as the worker’s compensation and liability. You should not leave it at that, you can call and verify with the insurance company in case you suspect anything. We are fully insured for all tree work and tree lopping we perform on your property. ​What do people say about our reputation? Reduce your risks of disappointment by dealing with only reputable tree lopping Sunshine Coast companies like Sunshine Coast tree Lopping Caloundra . Do online research and check local references and ratings. Don’t take our word for it. We encourage you to do your own research and seek referrals from our past and present Sunshine Coast tree removal clients. Check our company's professionalism: see if the company adheres to tree care standards and is a member of a professional body. Our tree removal and lopping professionals a fully qualified. You can ask as any questions you wish. Remember, the decision regarding which company you contract remains critical and it is important to choose your service provider wisely. Our staff are armed with helmets as well as face shields when doing work. Sunshine Coast tree Lopping is also equipped latest tree removal safety equipment such as climbing gear, glasses, climbing ropes, cutting machines and steel toe boots, among others. You are the boss. Take your time and compare different rates from different companies. Do a lot of research, ask difficult questions and get all the details you need before putting pen to paper. Without fear of contradiction, we can assure you we are one of the most affordable tree removal service provider in Sunshine Coast. Trees can fall, cause a number of injuries to people and animals, and even damage properties. Whenever this happens, we call it a hazard to signify that they bring a significant amount of risk with their presence. It is important to remember that any tree has a potential to fall and hit something or someone. So if you own a tree, it is actually your responsibility to ensure that your trees are safe. Once a hazard has been identified, you need to call the best tree removal experts Sunshine Coast. So if you are anywhere in Caloundra, Caloundra West, Buderim, Landsborough, Maroochydore, Noosa, Mooloolaba, Alexandra Headland, Nambour, and Coolum Please call us on 0756463675 for all your tree removal, lopping, pruning, stump removal, grinding and tree cutting needs. Our team of tree lopping professionals is on standby to take care of your tree services needs and provide you with swift tree removal services.